Environmental law violations can have an enormous impact on your ongoing profitability. Environmental law is complicated and multifaceted, with laws at the local, state, and federal level often overlapping. In this article, we’ll discuss environmental law violations in the context of defending against an environmental law claim. In doing so, we’ll take a brief look at what environmental law is, and explore some environmental law violations cases. This should shed some light on the complex nature of environmental law litigation, and highlight the importance of securing legal representation with the scope and breadth of practice to wade into an environmental law violation case. 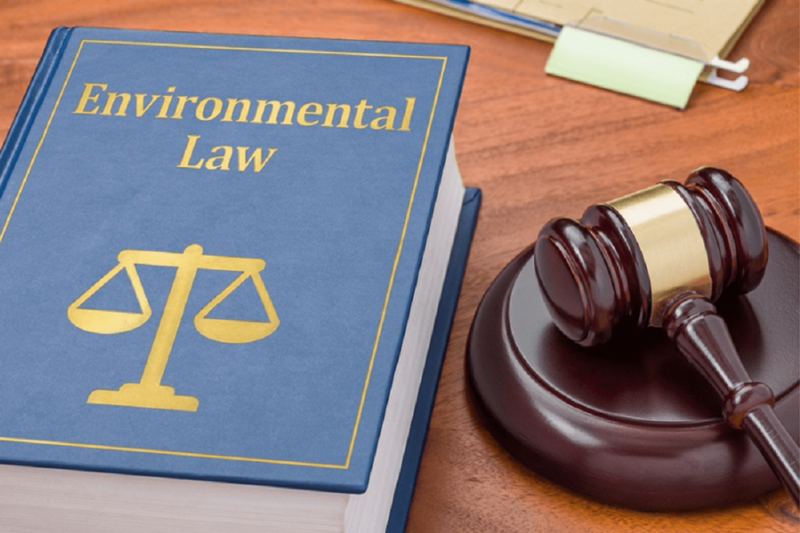 Before diving into specific environmental law violation cases, it is helpful to first provide a basic outline of what environmental law is and what different levels of environmental law exist in the United States. The most well-known environmental law exists at the federal level and is enforced by the Environmental Protection Agency (EPA). The EPA is responsible for enforcing directives that have been set forth by Congress over time. These include a variety of Acts, including the Clean Air Act and Clean Water Act. In addition, each state has a body of environmental law applicable to that specific state. In California, the governmental agency in charge of overseeing and enforcing environmental law at the state level is the California Environmental Protection Agency (CalEPA). CalEPA is a Cabinet-level agency created in 1991 which oversees a number of departments and boards that each have specific areas of responsibility. CalEPA and the various departments underneath it are tasked with preventing natural resource damages in California and enforcing the body of environmental regulations and laws at the state level. The largest of these laws is the California Environmental Quality Act (CEQA). One key component of CEQA is that it tasked local governmental agencies within the state to create a local body of law and regulations to protect wildlife and natural resources from damages in their area of control. Thus, each municipal government also has environmental regulations and requirements with which businesses must comply. Environmental laws at the federal, state, and local level are one significant arm of environmental regulations. The second avenue of environmental litigation is through environmental tort law. Tort law is a form of common law that is intended to provide an avenue for a private citizen to receive compensation for a wrong done to him or her. Unlike federal, state, and local laws, which would require any penalties levied against an organization to be paid to the government, in toxic tort law cases any judgment requiring compensation would be payable to the plaintiffs, or the party alleging that he or she was wronged. Put another way, violation of federal, state, and local environmental laws would incur a liability to the government, while environmental citizen suits would incur a liability to the plaintiff bringing the case. In some situations, a violation of environmental law can result in both criminal and toxic tort litigation. A quick glance over some major environmental law cases highlights the importance of retaining attorneys with extensive knowledge of environmental litigation if there are claims against you for a violation. In order to illustrate this, we’ll look at some cases brought by the EPA for violations of federal environmental regulations. According to the EPA, enforcement brought a total of nearly $3 billion dollars in fines and restitution; and resulted in over 150 years of incarceration. The case resulting in the largest single fine for 2017 involved the automobile manufacturer Volkswagen AG. Volkswagen was required to pay a $2.8 billion dollar penalty for a decade-long internal effort in the company to sell diesel vehicles with embedded software that enabled them to pass U.S. emissions tests. Additionally, as part of the plea deal, Volkswagen settled a claim for civil penalties tied to the importation of the cars themselves and a claim from Customs and Border Patrol for customs fraud. This additional civil penalty totaled $1.5 billion dollars. The 2017 case against the Indiana based biofuel producer Triton was regarding fraudulent tax and fuel credits. The Triton case is notable because the two defendants in the case, Fred Witmer and Gary Jury, were sentenced to hefty prison terms. Alden Leeds was a New Jersey-based swimming pool and spa chemicals company that was sentenced, along with its president Mark Epstein, for false statements to U.S. Customs and an extended rebate scheme. As a penalty, Alden Leeds was required to pay $2.25 million in restitution. Additionally, Epstein was required to pay $500,000 in both forfeitures and restitution, and the middleman was sentenced to 1 year in prison and required to pay $100,000 in restitution. As the above-mentioned cases illustrate, penalties for environmental law violations can take a variety of forms. Due to the various levels of environmental law, including at the federal, state, and local court levels, it can be difficult to understand when a violation has occurred. It can also be challenging to mount a proper defense against an environmental law violation claim due to the myriad of different, often overlapping, regulatory structures in place. An effective defense requires knowledge of relevant case law, precedent, and cutting-edge environmental science theory. As such, having experienced legal representation in environmental law violation cases is of utmost importance. The risk in not hiring a law firm for environmental law cases can significantly outweigh the attorneys’ fees. First, environmental law cases can quickly involve multiple parties and overlapping areas of liability. Second, environmental law cases can incur both extensive personal injury liability and the possibility of massive statutory penalties. Hiring a lawyer experienced in environmental case law, and with relevant trial experience, is the most effective step you can take to minimize your liability and any penalties you might face. For help evaluating your risk in environmental law violations, please contact an experienced Environmental Law attorney at Bremer Whyte Brown & O’Meara LLP.